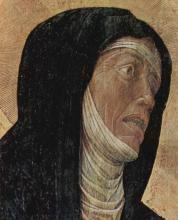 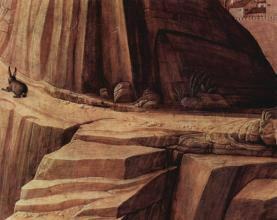 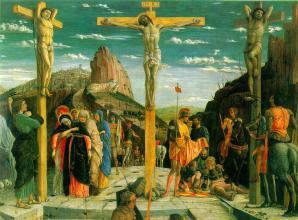 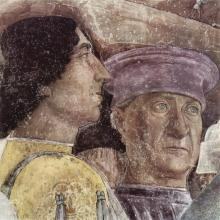 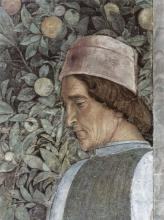 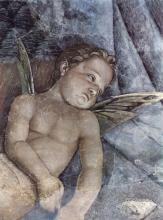 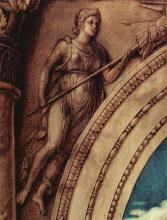 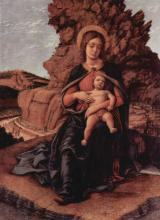 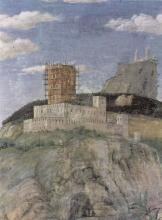 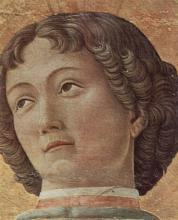 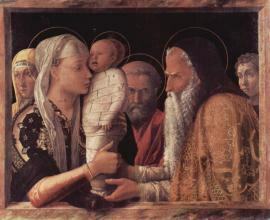 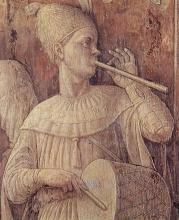 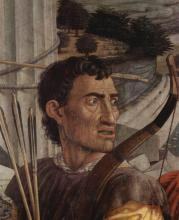 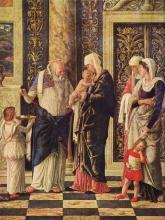 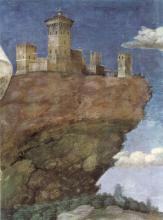 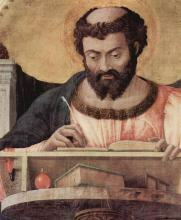 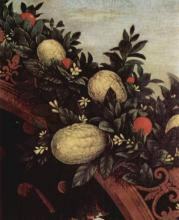 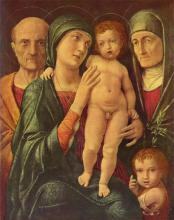 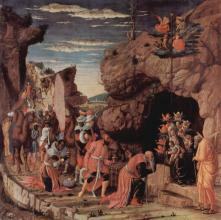 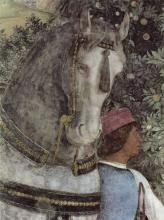 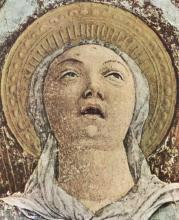 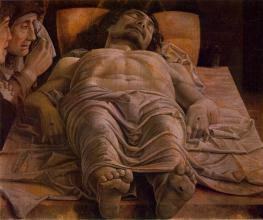 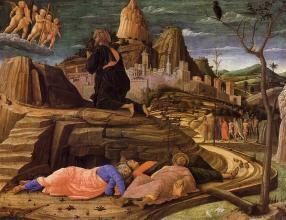 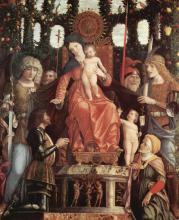 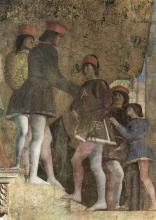 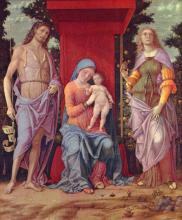 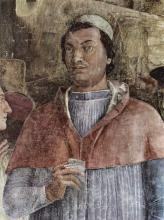 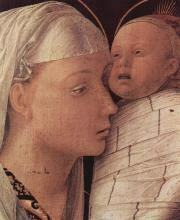 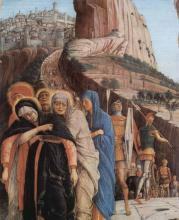 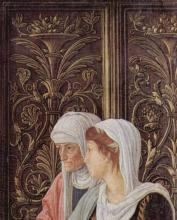 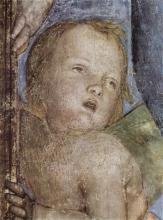 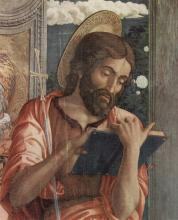 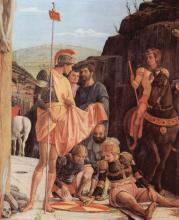 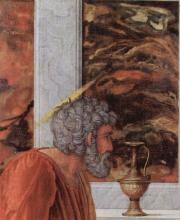 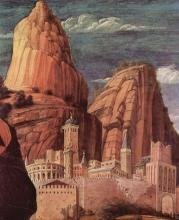 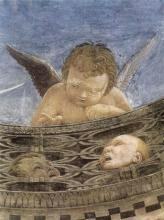 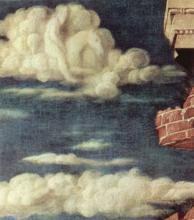 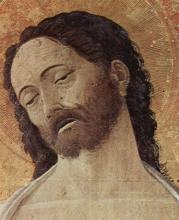 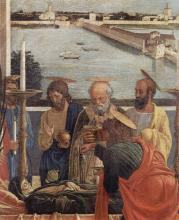 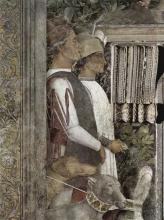 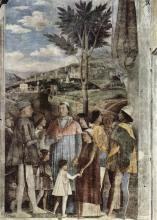 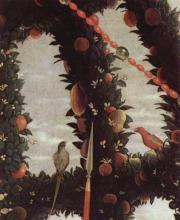 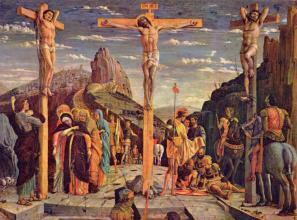 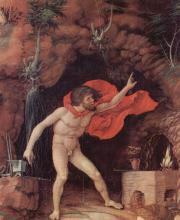 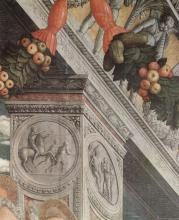 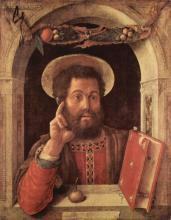 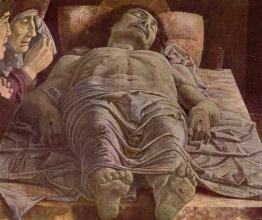 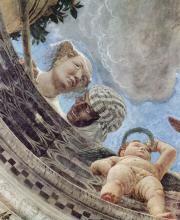 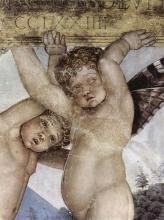 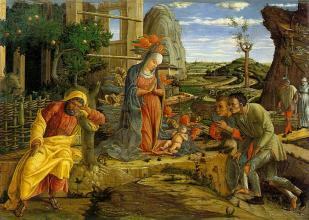 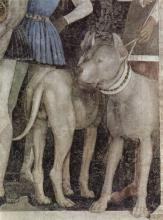 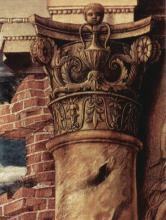 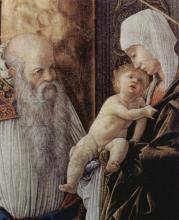 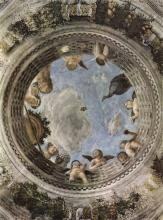 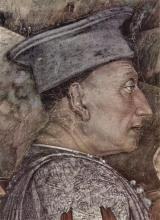 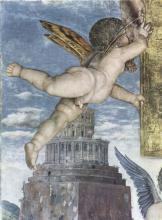 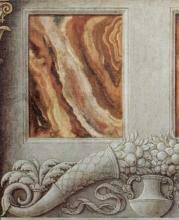 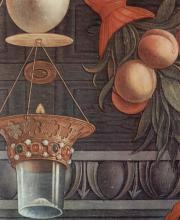 Andrea Mantegna (c. 1431 – September 13, 1506) was an Italian Renaissance artist. 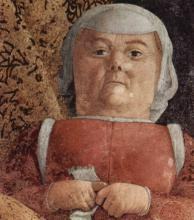 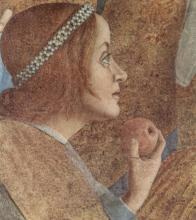 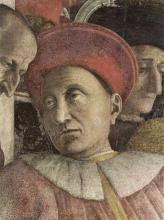 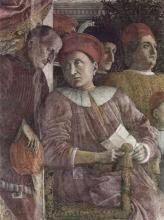 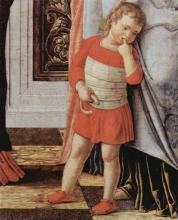 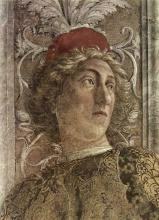 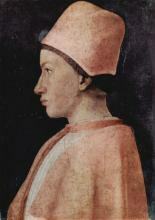 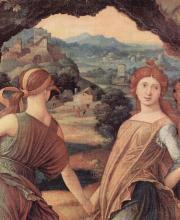 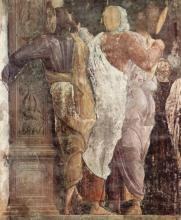 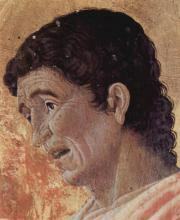 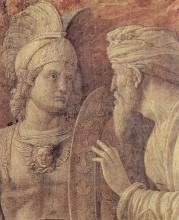 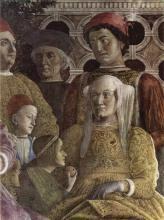 A serious student of Roman archaeology and son-in-law of Jacopo Bellini. 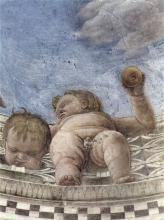 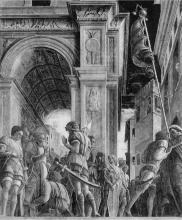 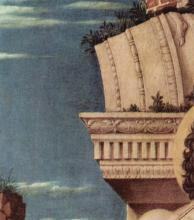 Like other artists of the time, Mantegna experimented with perspective as he thought best, e.g., by lowering the horizon in order to create a sense of greater monumentality. 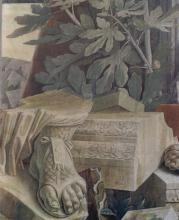 His flinty, metallic landscapes and somewhat stony figures give evidence of a fundamentally sculptural approach to painting. 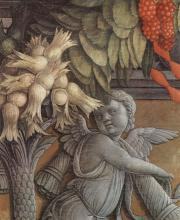 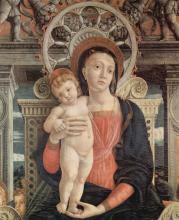 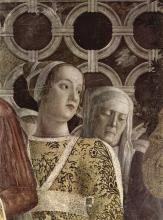 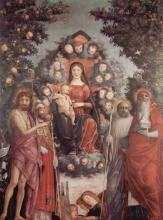 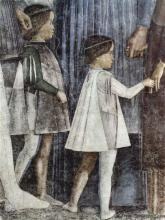 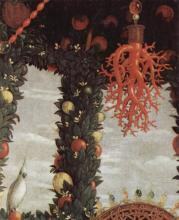 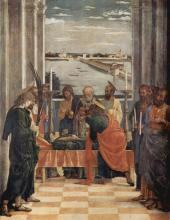 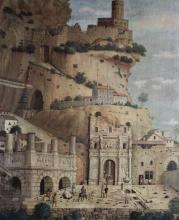 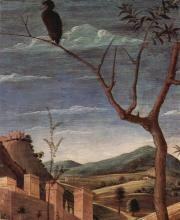 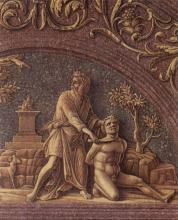 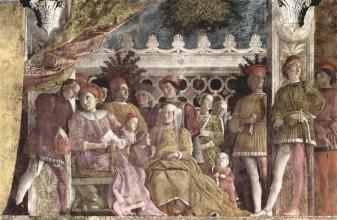 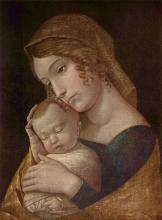 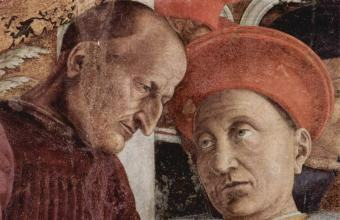 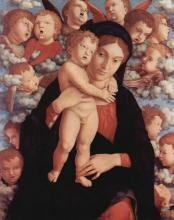 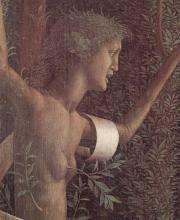 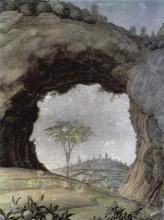 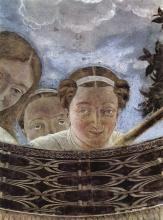 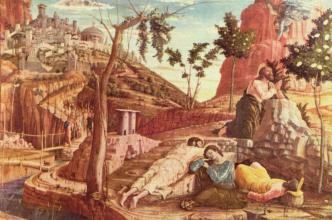 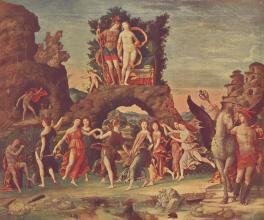 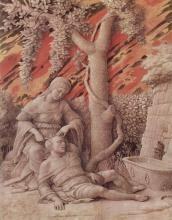 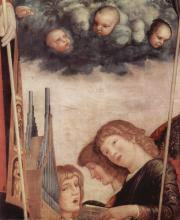 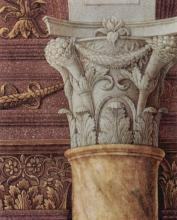 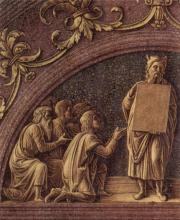 He led a workshop that was the leading producer of prints in Italy before 1500.